I'm doing a series on our Household Binder. This is Part 2. For Part 1, go here. The first section of our Household Binder and the one I reference most often is our Meal Planning section. 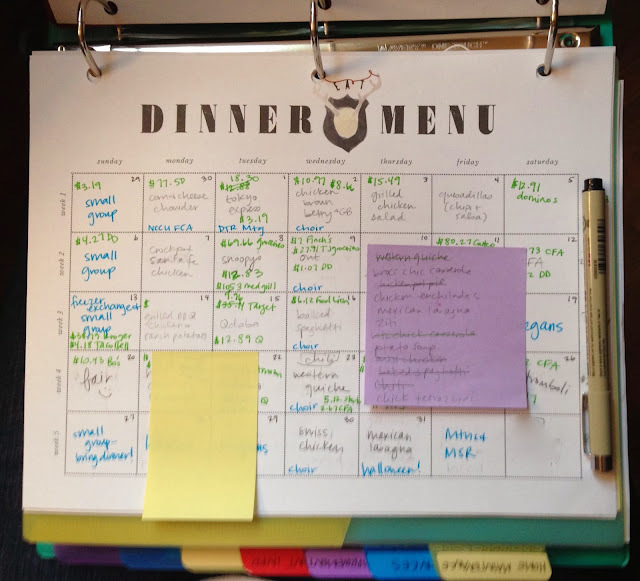 Every Monday, I plan out our meals for the week, create a grocery list, and go shopping. 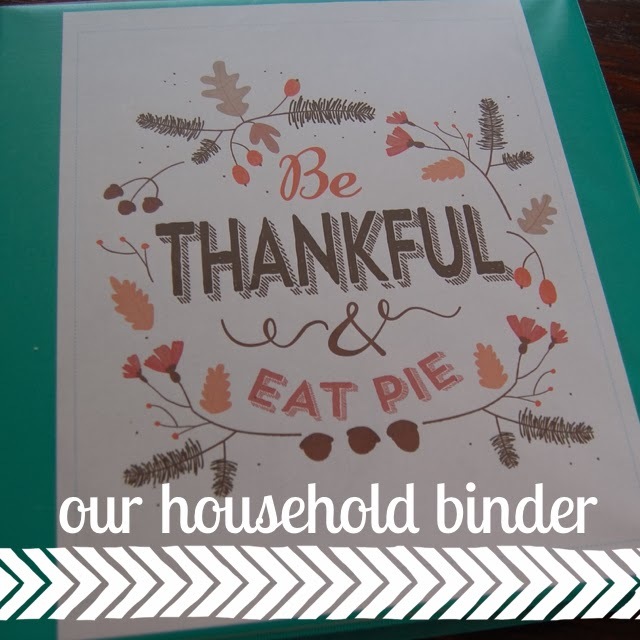 When planning out this part of the binder, my three goals were to tackle meal planning, grocery shopping and managing/tracking our food budget. When I'm planning out our dinners for the week, I try to do a mix of big meals that take longer to make and some quick, easy (but still so yummy) meals. On Mondays, I like to do a big hearty meal since usually everyone is exhausted after the first day back to the grind. On Fridays, I like to do something easy like breakfast for dinner, or stromboli, or order a pizza since I'm usually exhausted and we want something low-key. I keep my handy-dandy recipe binder on hand so that I have plenty of easy, tried-and-true recipes when I'm making my meal plan. I decided to make all my recipes look the same so I just typed them all up in MS Word in the same format. Here's one of my tried and true favorite recipes. Lastly, I just look through the meals I've chosen for the week and make sure I have all the ingredients and/or sides that I need for each meal. 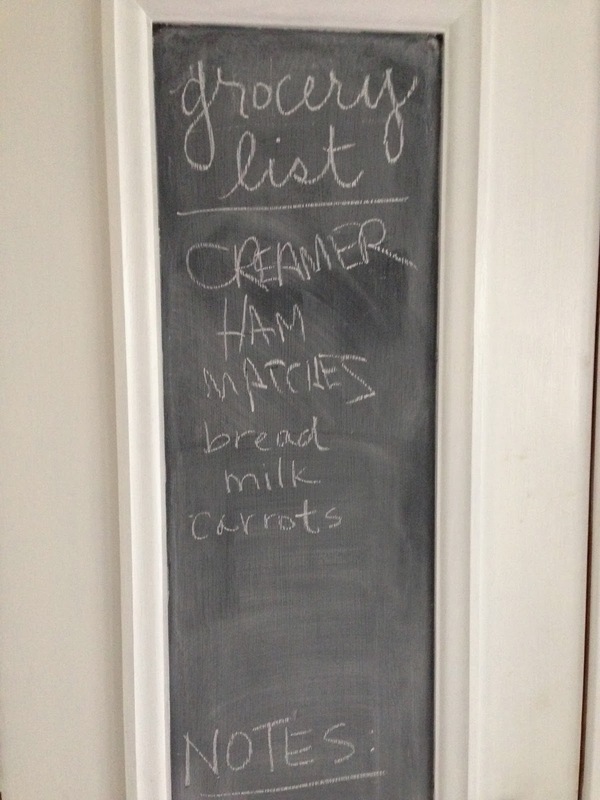 Then I just write it all down on my grocery list, again via JDC. 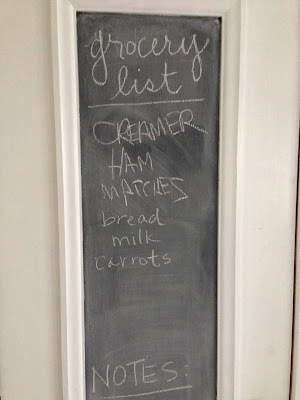 Her grocery list printable is super helpful because it has it all broken down into categories to make shopping easier and quicker. 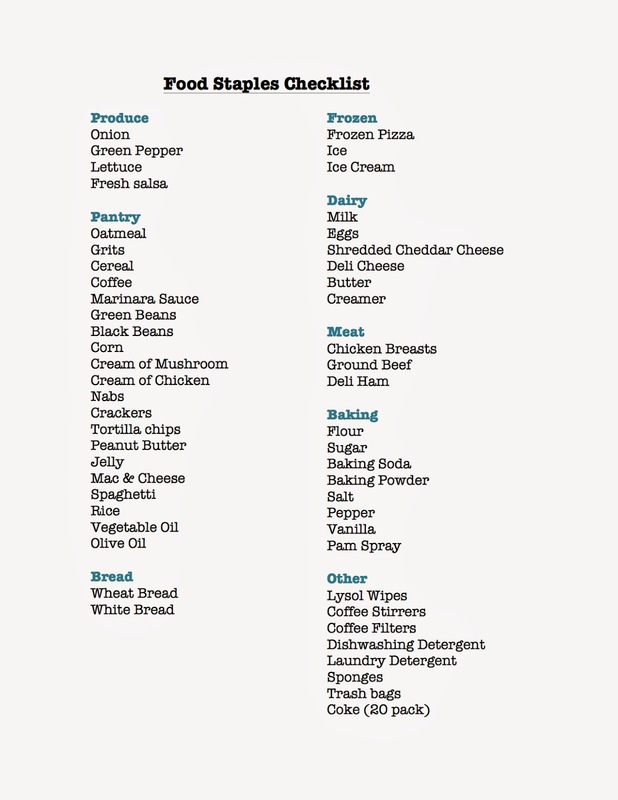 I keep my grocery lists in the front pocket so that they are easily accessible. We have a monthly grocery budget that we stick to but I also try to set an amount per week just to help me evenly spread our budget out for the whole month. So the most important thing that I do to track that is at the end of the week - and sometimes in the middle of the week as well if we are wanting to change up our plans and go out to eat (because let's be honest, momma doesn't want to cook on the weekends). So at the end of every week (or whenever we are looking to see if we have extra money), I go through our dinner menu and write down how much we spent on food each day with a green pen. Then I total up the whole week and write that at the end of the week. I keep a total amount spent and total amount left at the bottom of the page so that I can also see the big picture. 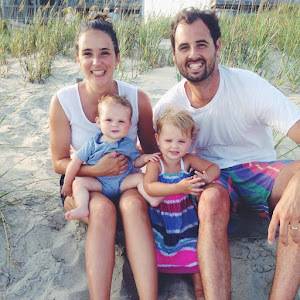 This has been really helpful in curbing our "splurging streaks" and to stay within our budget. 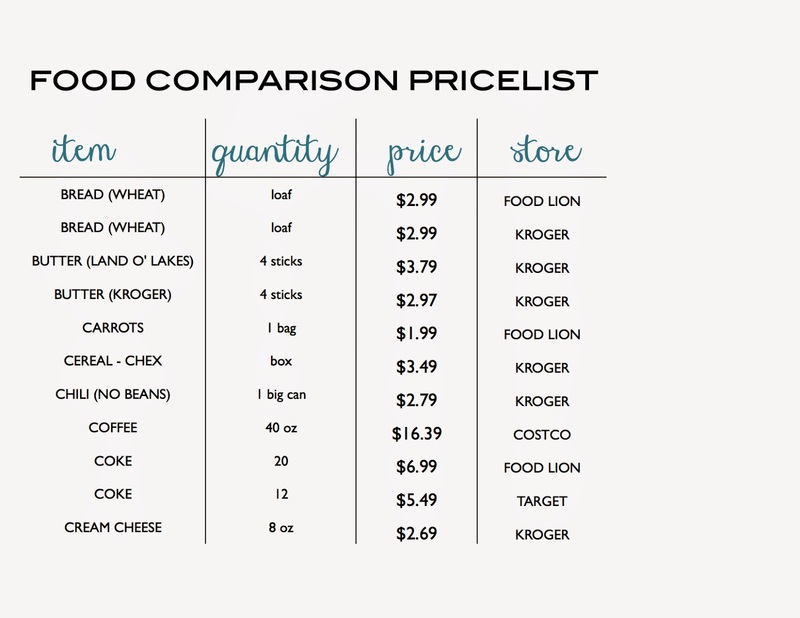 It also helps me see what Rob has needed to spend on lunches/coffees/dinners for his ministry (since that comes out of our food budget as well) so that I can factor it into our spending for the whole month. This is what the meal planning page looks like by the end of the month. (This was October.) Fun Fact: I LOVE Tuesdays. Dollar Tacos at Qdoba and Dollar Hot Dogs at Snoopy's. That makes for a really inexpensive break from cooking for me. 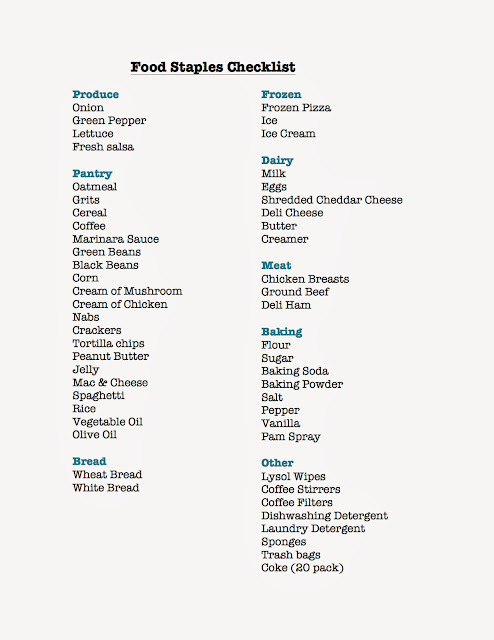 That's all I have for the food section - what a doozy! Up next, Home Maintenance.